The popular Bootstrap WordPress theme that you learn how to build when becoming a member of BootstrapWP. StrapPress is a very popular theme and has a lot of built-in functionality. 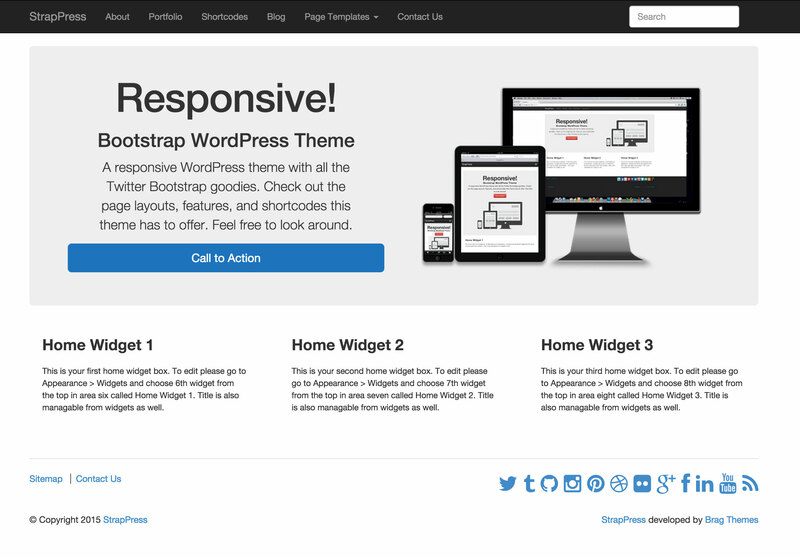 This theme includes the Bootstrap framework which allows you to use all of its components and features. StrapPress uses the responsive Bootstrap framework so your website will look good on all devices. Add Bootstrap components and features with the included shortcodes plugin.